Cancer is a disease that not only affects humans, but also most other animal species. Dogs and cats are no exception, and, although most cases are in senior pets, age is not a deciding factor in cancers occurrence. When cells in the body become abnormal or mutated, they can begin forming and multiplying in an uncontrolled manner. If the cell type interferes with normal activities within the body, cancer can be the result, and require intervention to manage the quality and quantity of your pet’s life. Intervention may include surgery, nutritional changes, and, very often, chemotherapy. Chemotherapy involves the use of drugs to destroy cancer cells. Most cancer cells are rapidly dividing, and the various medications target those different steps in cell division and multiplication that are most likely to kill the abnormal cells. There are injectable and oral chemotherapy agents, each with specific properties, risks, and possible side effects. The choice of drug depends on the cancer type, the extent of the disease (stage), and any other diseases the pet may be experiencing. Depending on the chemotherapy agent used, some pets may feel poorly temporarily during treatments. It is because cells such as the intestinal cells, bone marrow, and hair/skin cells are also rapidly dividing. Some chemotherapy medications harm these cells as well. Possible side effects include lack of appetite (anorexia), nausea/vomiting, diarrhea, and possible low red or white blood cell numbers. In most cases, however, dogs and cats handle chemotherapy much better systemically than humans. Anti-nausea medication, anti-diarrheals, special diets, etc. can help keep the dog or cat feeling reasonably well overall. How is chemotherapy administered in dogs and cats? Some chemotherapy agents are given orally, and others are given in the vein. The agent used is dependent on the individual animal’s type of cancer. For example, dogs with lymphoma are often treated with an injectable one week, then a different injection the next, then followed by an oral tablet form. 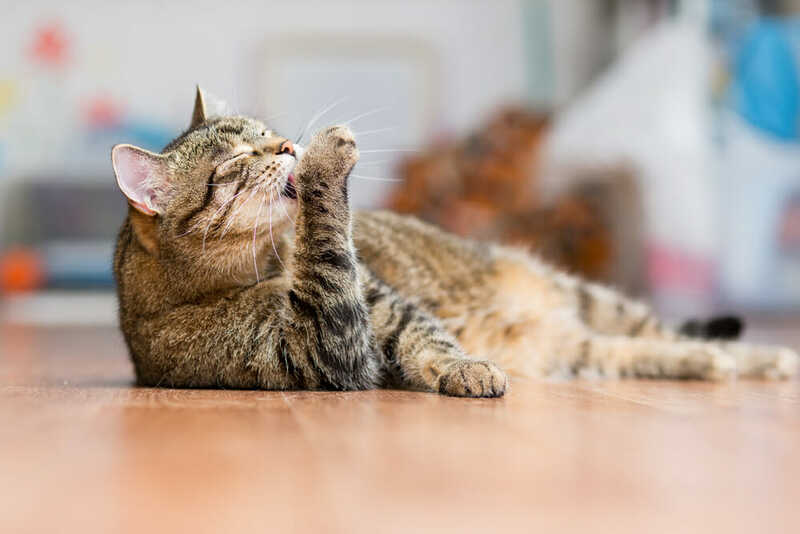 In cats with small cell lymphoma, the chemotherapy is very often two types of oral tablet given at various doses and frequencies, again, depending on the individual. Many oral drugs can be given at home by the owner, but injectables must be given in the clinic under very strict control to avoid human exposure to the drugs. What is the cost of chemotherapy? Chemotherapy agents are often quite expensive, due to the research and testing that has been done to bring these chemicals into use with people, and with our pets. Along with this, the cost to the veterinary hospital can also be significant, since there are strict protocols of management and disposal of the chemotherapy medications. A less ideal treatment for canine lymphoma is just a steroid with or without one other injectable medication; although cost may be less, the remission and/or survival time may also be less. Most dogs and cats that undergo some form of chemotherapy experience a better quality of life after the cancer is treated. Some go into reasonably long remissions. Others feel very good for shorter periods until the cancer returns. Our team strives to find the best balance for the owner and pet, considering the family’s personal needs and concerns, finances, and other diseases the pet may be dealing with before a treatment path is chosen. Please contact our clinic for more information.